If you’re fortunate enough to live in one of the areas along the East Coast—between the Carolinas and Connecticut—that will be graced with the presence of the 17-year Cicada swarm, then I’m envious of you. No, really—we won’t be seeing much of the action, if any, down here in the Peach State. It’s been said that some areas can average up to 1.5 million cicadas per acre; that’s a lot at once. Here at planIT, we’ll occasionally get large, incoming swarms of IT hardware, both new-in-box and new-out-of-box and also refurbished. Recently, we received a brood of Dell 3548 PowerConnect 3500 Series Switches. Locust? More like, low cost. We’re fully stocked with these bad boy switches, and since we’re planIT HARDWARE, they’re going to be about 80% less than the list price. The 3548P is a 48-port stackable switch that is capable of supplying power to PoE-enabled devices like WiFi access points. So what are you waiting for? Come plague us with inquiries and orders! 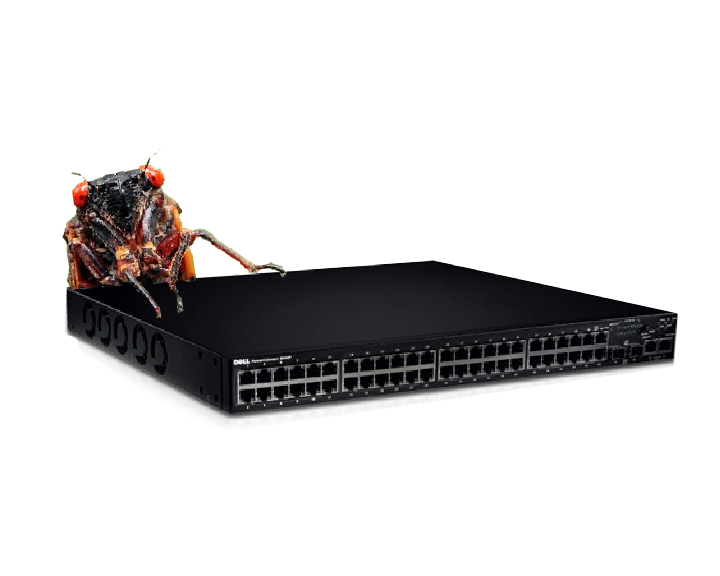 This entry was posted in Buying Guide, IT Hardware and tagged brood, cicada, dell, Dell 3500 Series, Dell 3548, Dell 3548P, Dell PowerConnect, Dell Switches, it hardware, locust, magicicada, plague, planit hardware, PoE, PowerConnect, stackable switch, swarm, used IT hardware. Bookmark the permalink.